Sheer Maxi Roses Cocktail Dress. Full length with 2 splits at the front. Ties at both sides of neck. 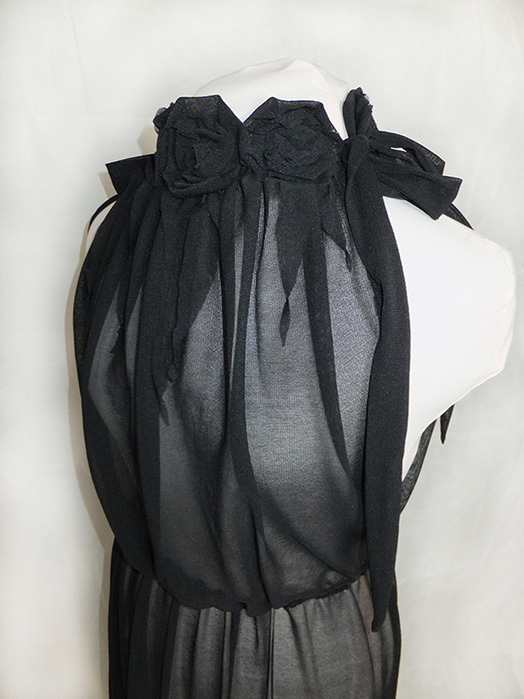 Fabric Roses surround the neck. Made from top quality soft light powermesh fabric. Dress can also be made in a non sheer fabric on request. Can be made in many different colours - much more than listed, if you cannot see what you're lookign for get in touch!.